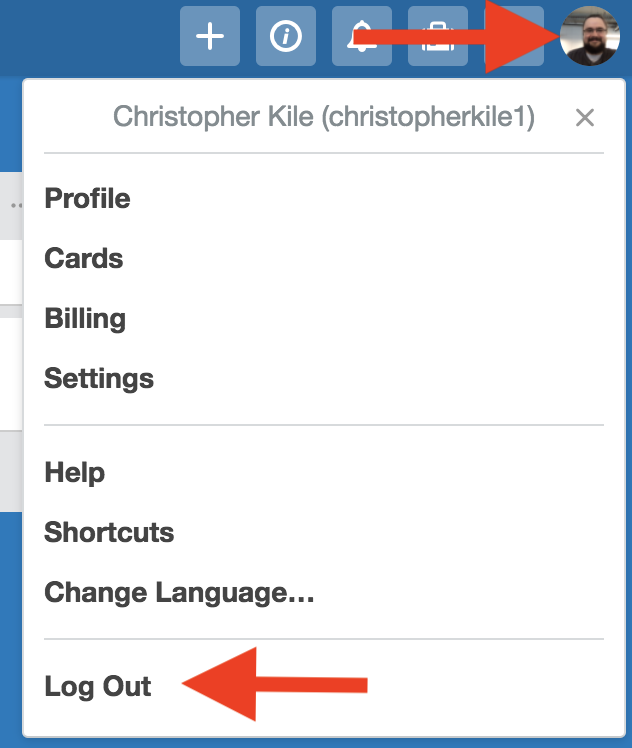 To log out of your current Trello session in the web browser, click on your avatar in the top right corner and choose "Log Out" from the bottom of the menu. Log out of Trello by clicking your avatar then Log Out. You can also log out of Trello if you logged in from somewhere else and forgot to log out. Click "Log Out Other Sessions"